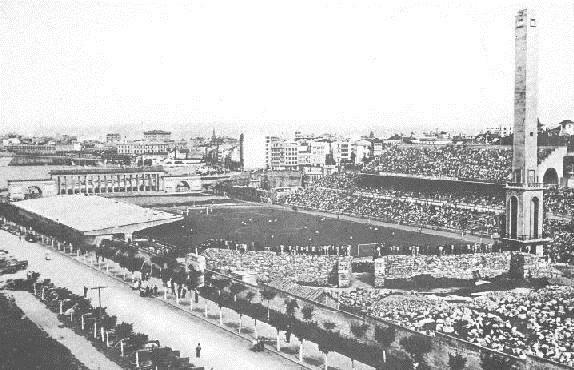 Estadio ABANCA-Riazor, previously known as Estadio Municipal de Riazor, was built in the early 1940s. It replaced Deportivo’s old ground with the same name, that had become too small for the club. 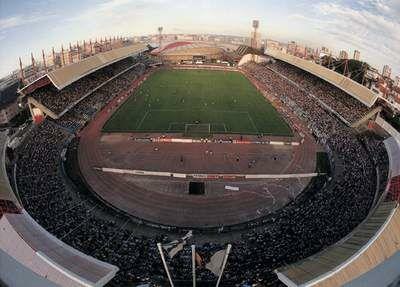 Estadio de Riazor opened on 29 October 1944 with a match between Deportivo and Valencia (2-3). The stadium was built in classic style with rows of columns and a 45-metre high obelisk. It could hold about 97,000 spectators, of which 37,000 seated, and was at that time the largest in Spain. 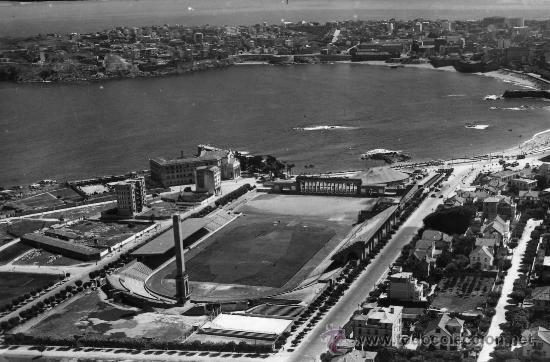 Its prime location right off Riazor beach and large capacity made Estadio de Riazor one of the most notable stadiums of the time, and in 1947 it hosted the Spanish Cup final. It also had a running track, and therefore regularly hosted athletics events. Estadio de Riazor remained largely unchanged for the next decades until it got extensively redeveloped for the 1982 World Cup. Two new stands were built at both long sides, but at the same time it lost most of its classic style. During the World Cup, the stadium hosted three first round group matches. In the mid 1990s, redevelopments continued when two new stands were built at both ends, enclosing the entire stadium. At the same time the running track was removed and the stadium was turned into an all-seater. In the next few years, further corporate facilities were added to the stadium. In 2017, a naming rights sponsorship deal was announced as part of a debt refinancing deal, resulting in the name Estadio ABANCA-Riazor. Estadio ABANCA-Riazor lies right off A Coruña’s main beach, Playa de Riazor. The stadium is located at the western end of the beach. It takes only 20 minutes to walk there from the city’s central square, Plaza de Maria Pita. 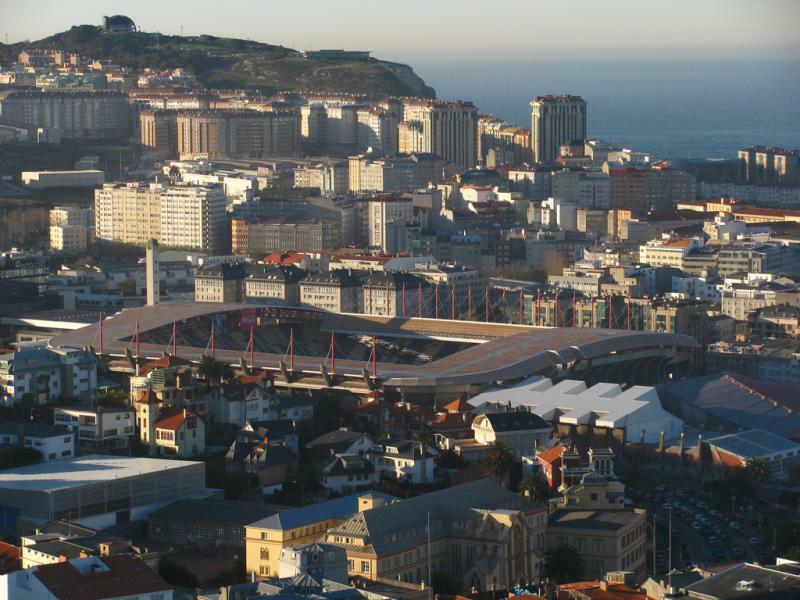 Alternatively, bus 3 and 7 both connect the stadium with A Coruña’s historic city centre. 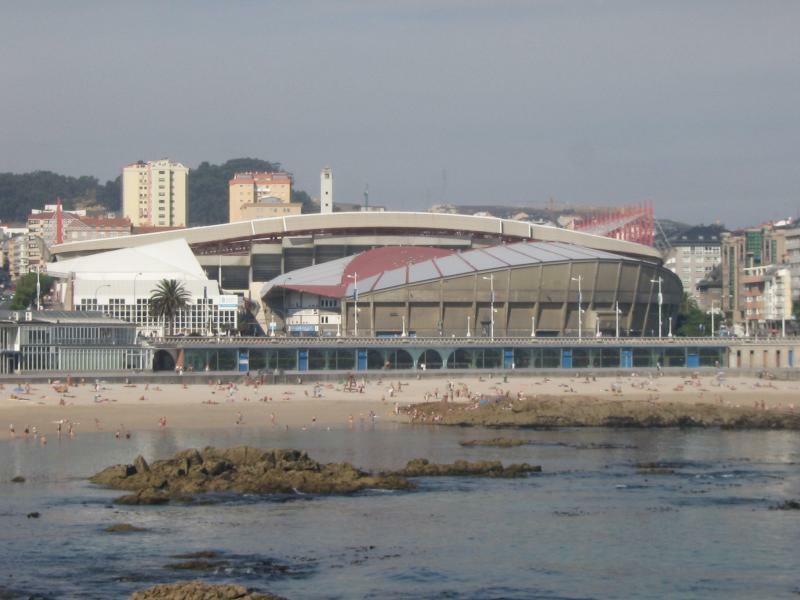 Estadio ABANCA-Riazor is located in a pleasant area right off Riazor beach. There are plenty of bars and restaurants around the stadium and along the beach. There are various hotels at short walking distance from the stadium. Hotel Mar del Plata seems to be the pick of the bunch with excellent reviews, while Hotel Riazor and Hotel Almirante are other good options. 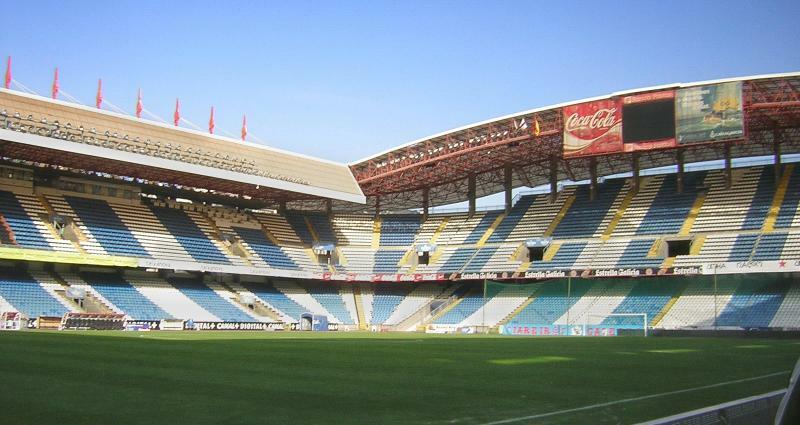 Click here for an overview of hotels near Estadio Riazor. Of course, A Coruna’s city centre is only a few more steps away. Click here to explore all hotels in A Coruna. Tickets for Deportivo de La Coruña games can be bought online, or at the ticket windows (taquillas) of Estadio Riazor. Tickets are also available at the stadium on the day of the match. Deportivo tend to have decent attendances, but don’t often sell out. Ticket prices can depend on the opponent, but expect to pay between €20.00 for an upper-tier seat behind the goal and €40.00 for an upper-tier seat at the main stand. You can find a seating plan here. For more information call +34 981 22 94 10. Rcdeportivo.es – Official website of Deportivo de La Coruña. Turismocoruna.com – A Coruña tourist information. Tranviascoruna.com – A Coruña public transport information.